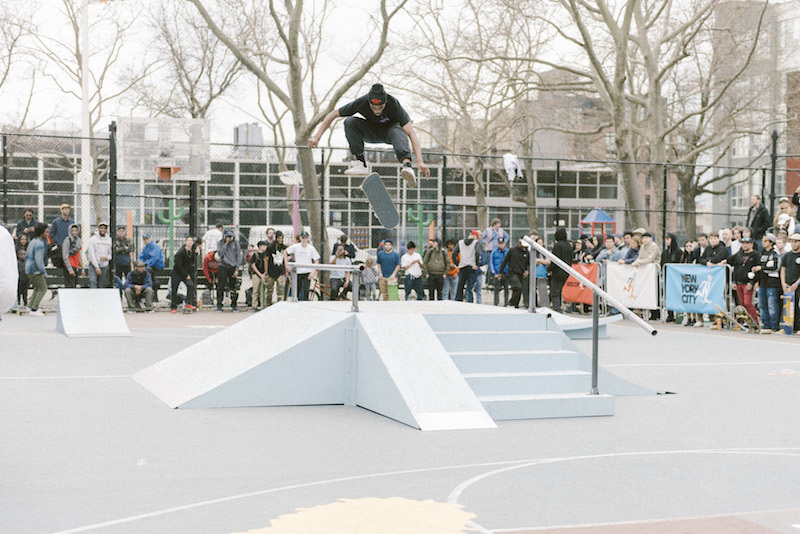 Adidas Skateboarding | Readyset Inc.
For the kickoff of adidas Skateboarding’s Skate Copa Court series, we helped transform the American Playground Court in our neighborhood of Greenpoint, Brooklyn was into a pop-up skatepark, featuring a marqeee “Blackbird” obstacle designed by Adidas Skateboarding team rider Tyshawn Jones. 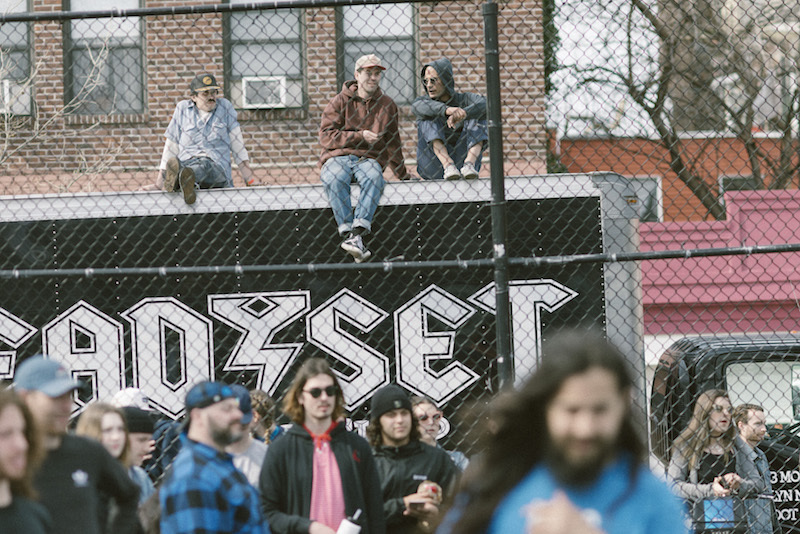 Amidst the tight confines of the event was a generation spanning swath of people. 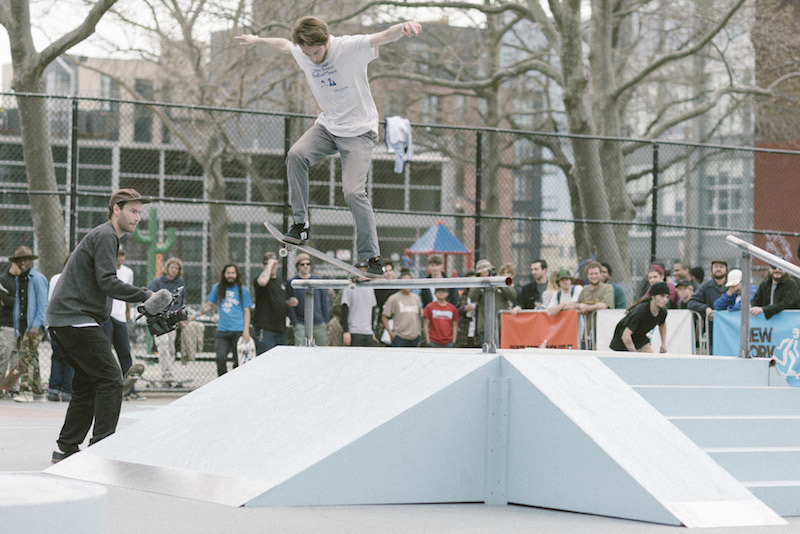 Baby carriages, father-son skate duos, and a gender diverse blend of skaters on the course, that played out as part shop competition and part open skate jam. Local artists selected by Adidas hand-painted details on the ramps which were donated to local community groups after the event.